How Plastronics delivers the right socket at the right price at the right time. Whether your challenge is cost, capability, lead time or quality, Plastronics has the in-house technologies and manufacturing capabilities to solve your burn-in and test challenges. From decades of experience and flexible tooling, to standard product lines and the world’s greatest pin technologies, our customers are saving money and shipping quality parts out the door. Plastronics’ patented technologies are based on solving the difficult industry problems associated with high frequency, high current, low resistance and adequate contact travel. Furthermore, our unique process ensures that you get the quickest lead-times on any new project or modifications to existing products. Explore this section to learn more about our process. Every year, semiconductor companies introduce new devices with more features and greater complexity. As a valued supplier of test and burn-in connectors, Plastronics continues to advance its engineering and design capabilities through the use of 3D CAD and Simulation technologies to ensure customers get working, reliable connectors for their next generation product testing. 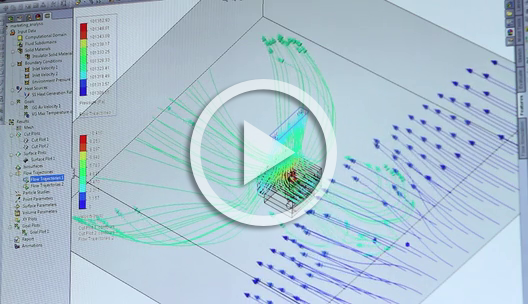 From thermal issues on high power parts to simulating mechanical stress on the parts, Plastronics has advanced modeling capability to help solve your most challenging problems. All you need to do is upload your package drawings and provide your specifications to our experienced engineers for analysis, and then we’ll determine the best custom, semi-custom or off-the-shelf socket solution for the unique needs of your project. For high power parts requiring advanced thermal solutions, Plastronics is able to analyze the heat sink performance to optimize both the design and material selection, and then do a complete analysis of actual operation in the burn-in environment through the use of Computational Fluid Dynamics software. As socket pin counts increase, stress on the socket becomes a major concern. Plastronics has advanced FEA simulations that help analyze stress and deflection of mechanical components in socket designs and the ability to do large deflection, non-linear problems. As pad to pad spacing gets closer, tolerance simulation is needed to ensure a good contact is made every time on the device. Plastronics performs arithmetic, six sigma, and monte-carlo tolerancing simulations to analyze our socket performance as it relates to your device. Plastronics produces electrical performance data on high frequency pins to ensure it matches your applications needs. To ensure the quality and longevity of internally produced moldings, Plastronics is capable of analyzing plastic flow in mold cavities, knit lines and gate locations to optimize our plastic part designs. We are capable of analyzing complex structure movement and part fits. This improves our product’s performance in the customer’s applications. With painstaking detail, our experienced toolmakers use the latest technology in CNC, grinding wire and plunge EDM equipment and working with mold tolerances in the .0001 of an inch. In the same building, we have a molding operation with 6 horizontal injection molding machines ranging from 22 to 66 tons, all with high speed injection capability to help fill the most demanding plastic parts. Our standard materials are PEI, PPS and LCP, with customized blends available. For post-processing, Plastronics has multiple CNC drilling machines capable of up to 70,000 RPM, which allow us to create finished parts that typically cannot be injection molded. We love to show off our shop, and ask for a customer tour at any time. Using manual, semi-automated or fully automated assembly techniques, depending on volume, Plastronics engineers and manufacturing personnel work together to ensure designs can be assembled quickly and correctly. With incoming and outgoing quality control on every product, Plastronics ensures you get a quality product on every shipment.